Bob Dylan’s protest song from 1963 is said by some to have been politically out of date almost as soon as it was written. It’s about the same with anything written about AdWords. It’s out of date immediately, or at least not current, because of the way Google keeps rolling out enhancements and changes to their market-dominating Pay-Per-Click advertising solution. What’s happening now is that Google is rolling out changes to AdWords at a blistering pace, so that no sooner do we understand and master one new feature, than they’ve released another one. I guess that’s good for us, but it’s got to be tough on most of our readers. Things are changing so quickly that it’s becoming ever more difficult for someone trying to run a business to stay up to speed on AdWords so he can run his own PPC campaigns. The other thing that’s happening is that Google is making changes on the Search and SEO side that’s making it harder and more expensive for businesses, especially sellers of physical products with online stores. For example, product listings that used to be free are now paid, and Google is pushing hard to get merchants to sign up for something called “Google Trusted Stores”—that requires merchants to turn over their customer information to Google. Google is clearly attempting to get their piece out of more transactions, and they’re definitely favoring their large advertisers like Amazon and Geico. So just as it looks like Pay Per Click will become more important and more necessary, it’s getting a lot harder to use. Just part of the natural evolution of things, I suppose. That’s not to say that the changes aren’t worthwhile and important, or that they can’t help you make more money. They certainly can. Things like Remarketing and Sitelinks can get you large increases in traffic and conversions, when properly implemented by an AdWords Ninja. 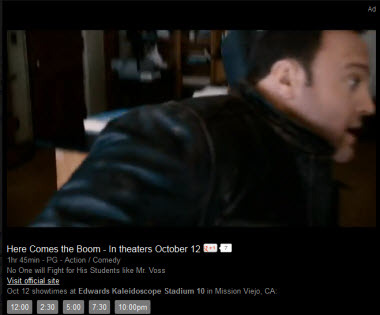 The viewer can also just click the ad and be directed to your site, just as always. In these ads, Google will select the most relevant products from your Merchant Center Account, based on the keyword used, and display them, with a link back to your account. Regular ads that trigger Sitelinks get about 30% more clicks than ads without them. 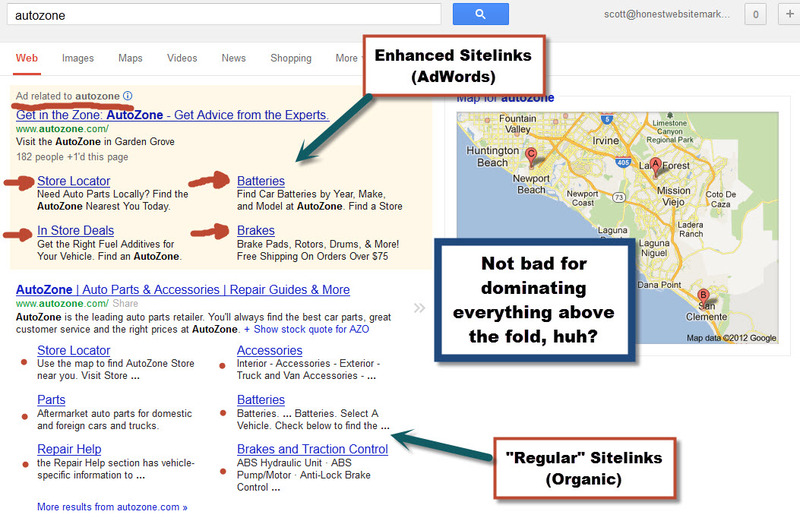 Enhanced Sitelinks do better than that in early testing. Your ad looks like it has two, four, or six extra ads attached to it, which makes you take up a lot more space on the page and gets you a lot more clicks. By the way, you might want to take a look at this post about Sitelinks / Sublinks for a little more info on organic (free) Sitelinks. This one is still in beta testing, and I haven’t seen it anywhere (no sample picture, sorry). Up till now, remarketing allowed an advertiser to show a display (banner) ad to someone who visited his site. Remarketing for search will allow advertisers to show their ads to people right on the search results pages, based on their previous search history. This one is pretty complex, but looks like it can be very powerful. These are just a few of Google’s recent AdWords enhancements. We’ll write in detail about many of these soon, but if there is one in particular that stands out to you, let us know in the comments below and we’ll give that higher priority. In the meantime, if you’re not using AdWords, you almost certainly should be—and that will be even more true as time goes by. Pingback: Honest PPC | Should You Think About AdWords Media Ads Yet?